Roco Diesellok BR 118 DDR, Digital med ljud. 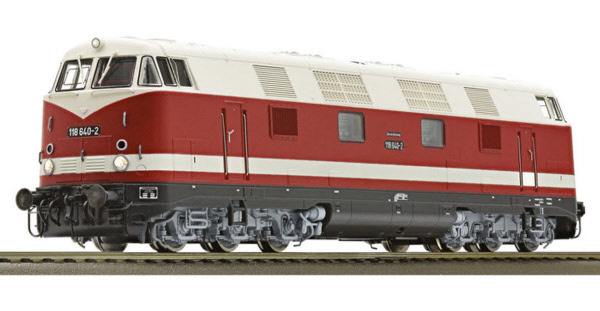 Diesel locomotive class 118 of the railway company of the German Democratic Republic (Deutsche Reichsbahn). Epoch IV. Motor with flywheel. Drive on six axles. LED-lighting white/red that change with the direction of travel. The best eCommerce software by ShopFactory powers P4917. All-in one eCommerce and shopping cart software.